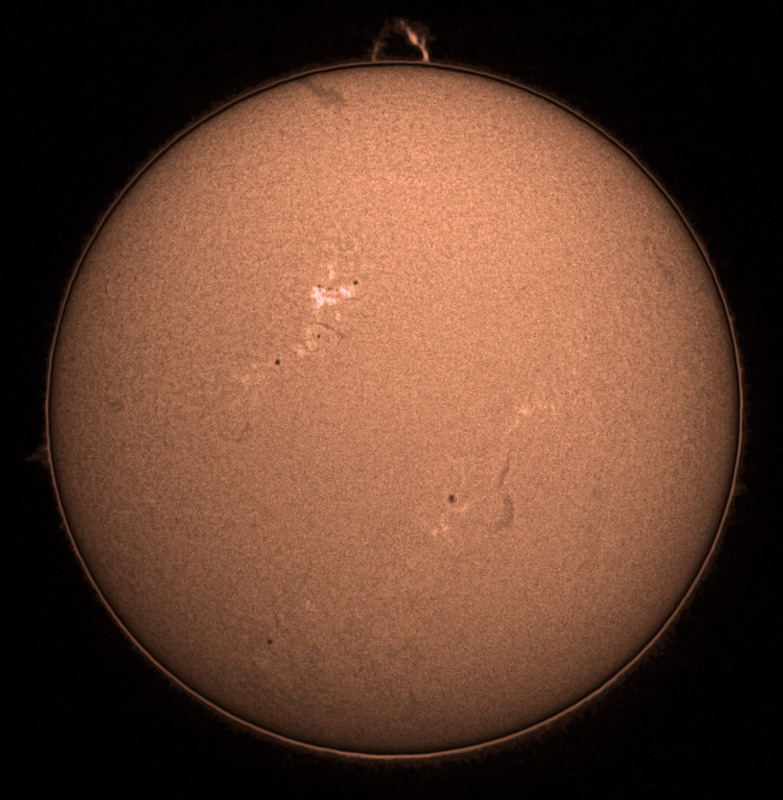 Today I reprocessed an image from the earlier post Best solar image yet and now it's even better. This image is the closest I've ever come to finding the "sweet spot" and I'll trying imaging from that area again. The ring around the limb is much dimmer and the huge prom at the top is now very clear.